Former Gladstone local, Kaela “Tiger” Banney has taken out the inaugural XFC Mixed Martial Arts “Atom Weight” title last Friday night, April 6. Picking on someone her own size, Kaela defeated the Sunshine Coast’s Brooke Kenrick in 5 X 5-minute rounds to claim the title for fighters weighing 47.5kg or less, in front of a 1000 strong crowd at the Mansfield Tavern in Brisbane. “We were the main event as well. 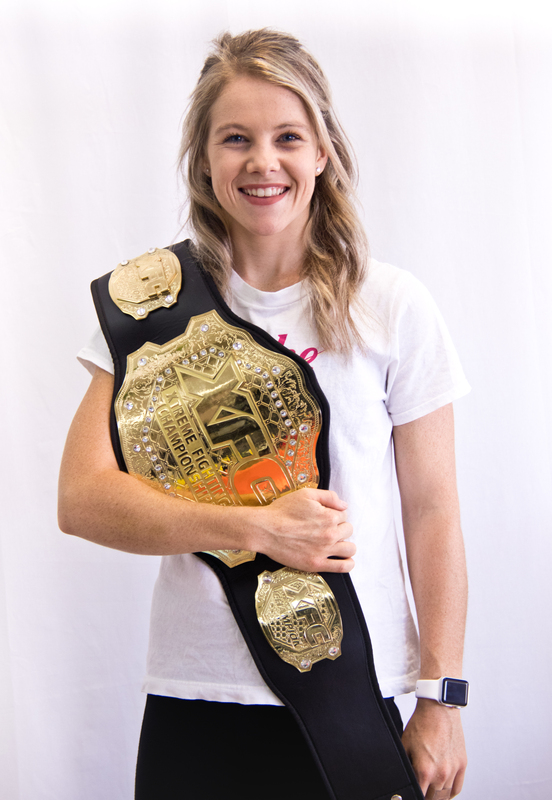 And that was the first ever female main event on XFC,” Kaela said when she dropped into the Gladstone News office to show us her amazing and very heavy, sparkly gold-and-diamante encrusted XFC Atom Weight title belt. “It’s actually gotten a lot bigger. You see now in the UFC, they have a lot more divisions for the girls, just recently on the weekend they had a girls’ fight in the straw-weight division, so one above mine,” Kaela said. “You have the separate styles – you have your Muay Thai which is stand-up and your Brazilian Jiu-jitsu which is on the ground – but MMA brings them all together,” Kaela explains. “I don’t get scared about getting hurt, but I get nervous about losing, or performing badly and disappointing people,” she said. 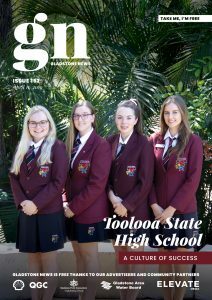 Gladstone born and bred and a former student at Toolooa State High School, Kaela, 20, trained with Rob McIntyre at Gladstone Martial Arts Academy at Barney Point before moving to the Gold Coast at the end of 2016 to be closer to opportunities in the MMA-circuit. “It was because I played golf. So yeah, Tiger Woods,” Kaela said. “I still like golf, but more for a casual social game now,” she said.